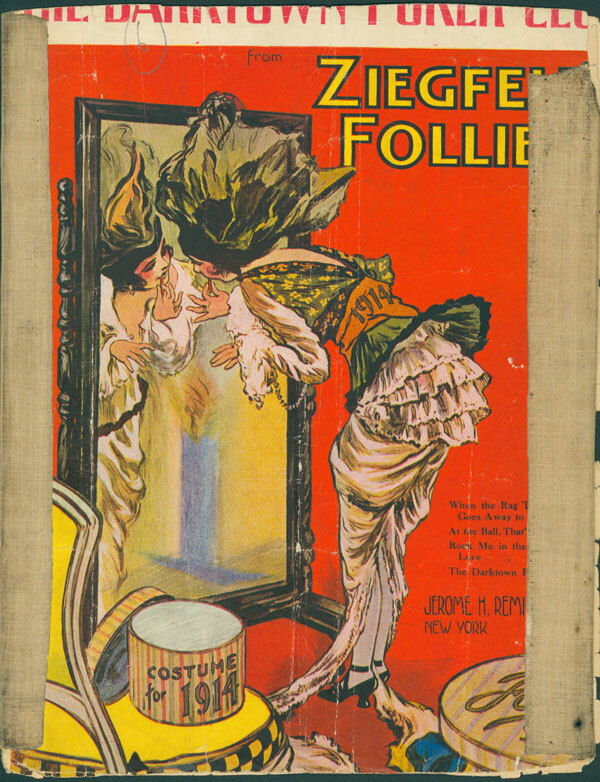 There is a sheet music and record label gallery at bottom of page, followed by suggested resources for study of the subject, and footnotes. 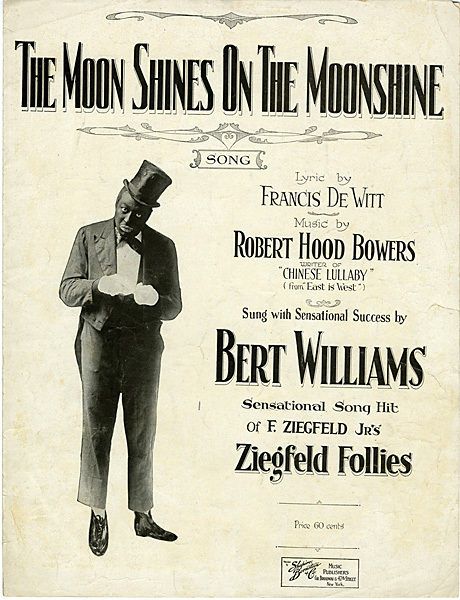 note: “Gwine” is an obsolete equivalent to the contemporary “gonna,” for “going to.” Stephen Foster’s song known as Camptown Races (published 1850) was originally titled Gwine Run All Night, or De Camptown Races, though the Levy Sheet Music Collection also has an 1850 edition of Foster’s Plantation Melodies with the title of melody #3 given as Camptown Races. 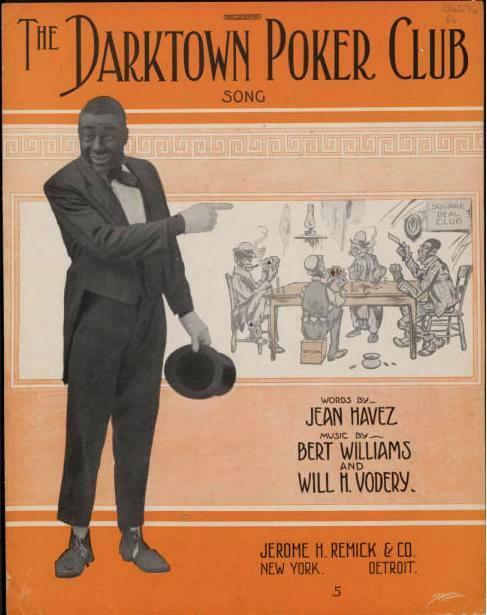 Dat’s Harmony (Bert Williams, Grant Clarke) — The song was recorded by Arthur Collins in 1911. 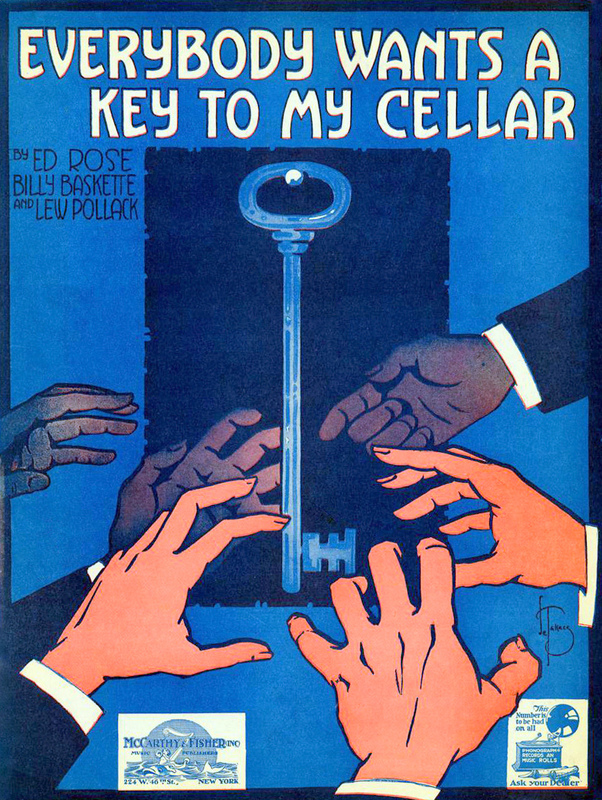 However, the “Hold/destroy” status indicated, and the absence of an assigned label name and catalog number, at the Discography of American Historical Recordings, suggests that it wasn’t released. 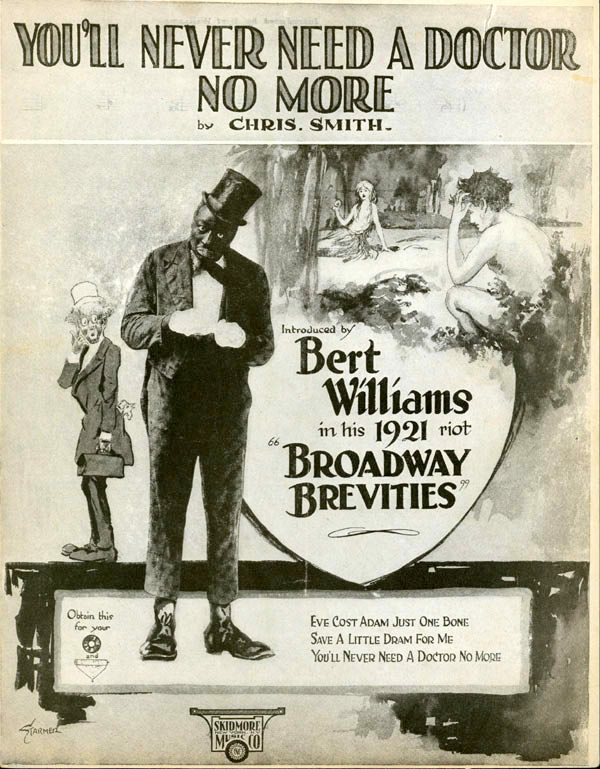 It’s unclear to me whether Bert Williams recorded it. 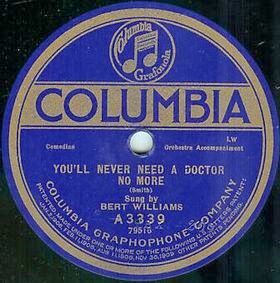 I haven’t found any information regarding a Bert Williams recording. 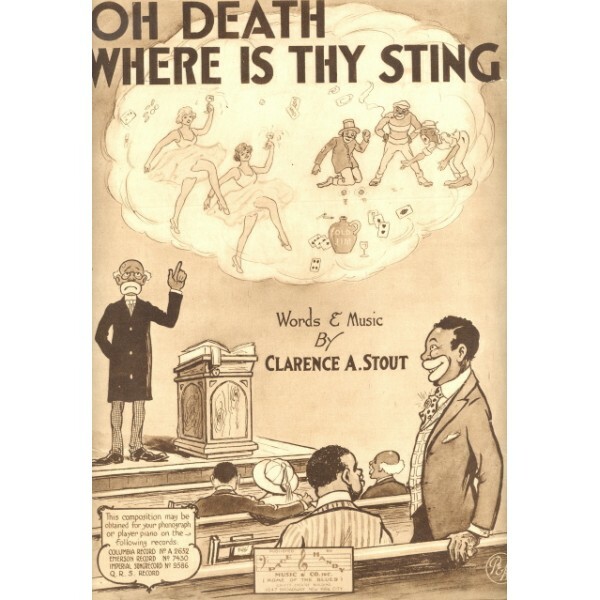 Woodman, Woodman, Spare That Tree (m. Irving Berlin, w. Vincent Bryan) — Bryan’s lyric is based upon an 1830 poem The Oak by George Pope Morris which became the popular song Woodman, Spare That Tree! when set to music in 1837 by Henry Russell. The song premiered in February 1906, in the Broadway production “Abyssinia.” The show, which included live camels, premiered at the Majestic Theater and continued the string of hits for the vaudeville team of Williams and Walker. 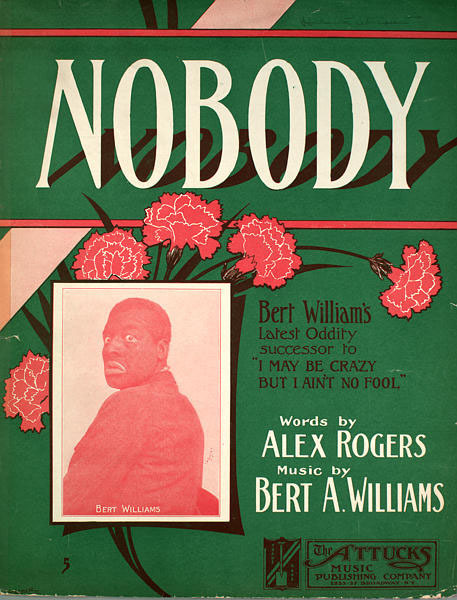 “Nobody,” became Bert Walker’s signature theme, and the song he is best remembered for today. It is a doleful and ironic composition, replete with his dry observational wit, and is perfectly complemented by Williams’ intimate, half-spoken singing style. 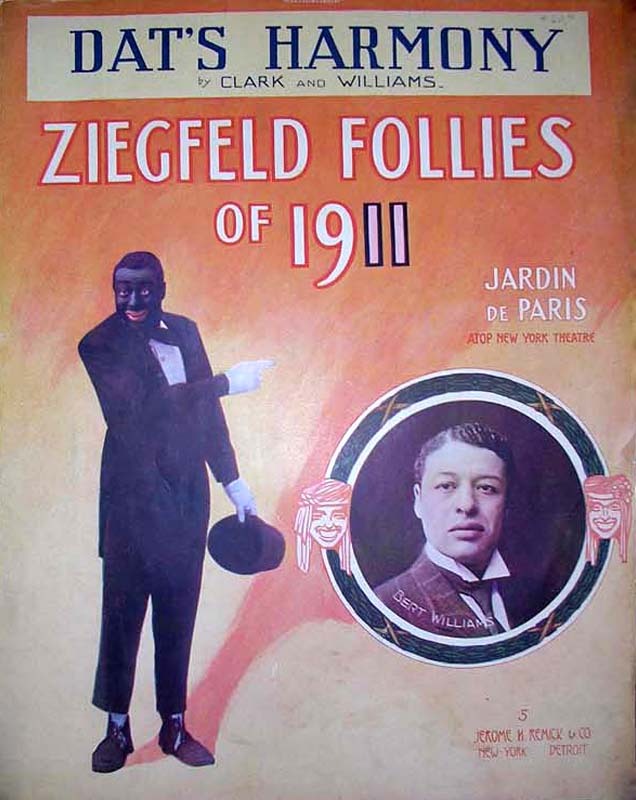 In February 1906, Abyssinia, with a score co-written by Williams, premiered at the Majestic Theater. The show, which included live camels, was another smash. 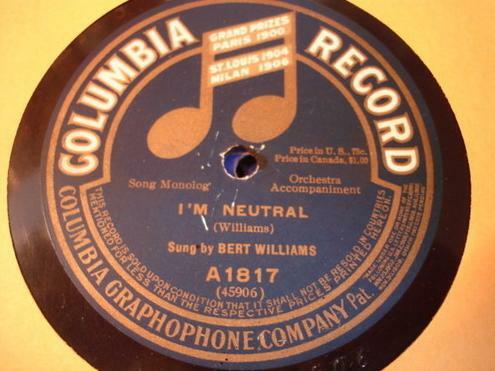 Williams committed many of its songs to disc and cylinder. One of them, “Nobody“, became his signature theme, and the song he is best remembered for today. It is a doleful and ironic composition, replete with his dry observational wit, and is perfectly complemented by Williams’ intimate, half-spoken singing style. 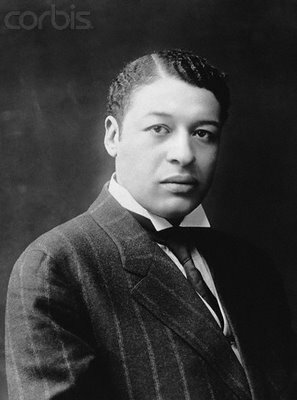 Bert Williams – 1913 recording. 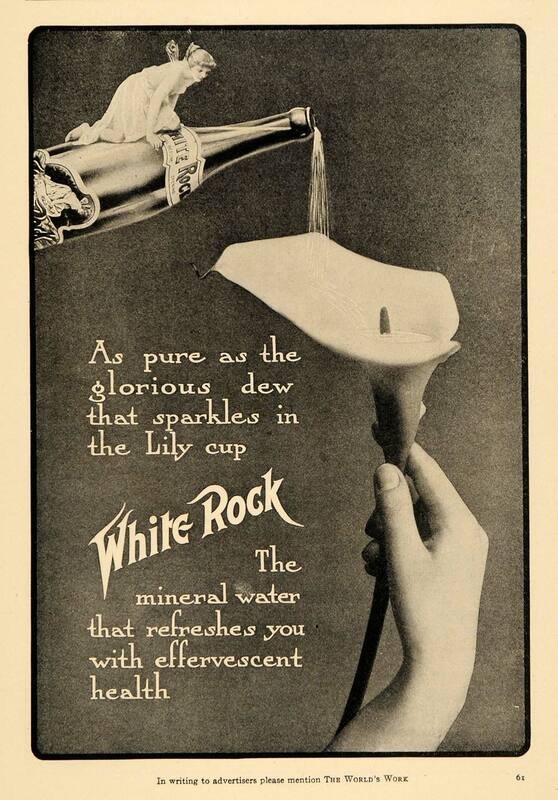 The song was later recorded by Bing Crosby and Johnny Cash among others. 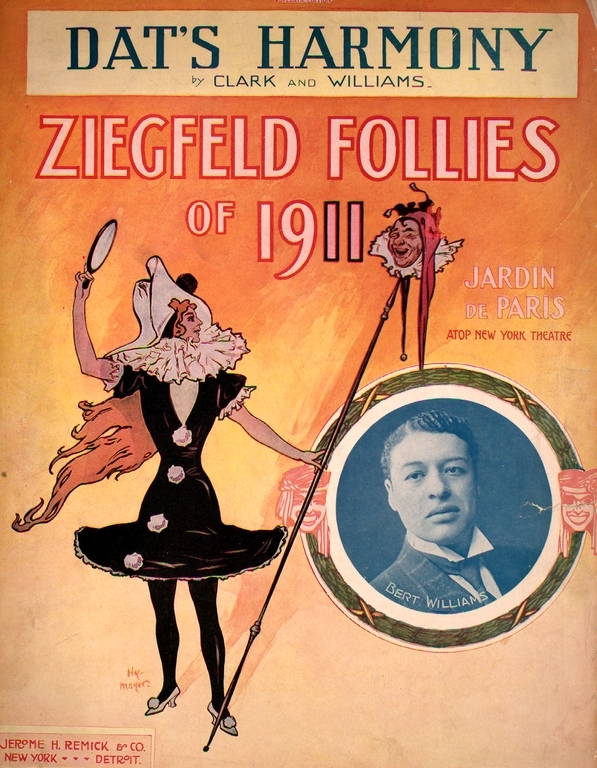 The two numbers on the lone 78 produced by Bert Williams in 1916 were each performed by the artist in the Ziegfeld Follies of 1916. The Lee Family is a comic monologue. 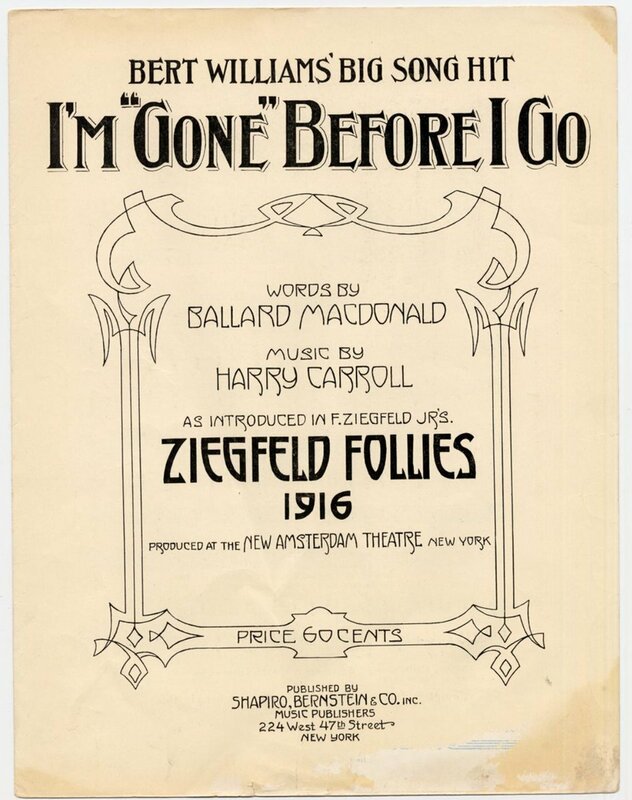 The sheet music cover of I’m Gone Before I Go, above, indicates that this song was a big hit. Jasobrecht.com notes that in keeping with the Shakespearean theme of this year’s show, Williams also performed a spoof on Othello (in a separate skit I believe). Jasper Lee inherits a bundle of money, sells his farm and moves to the big city. The other premise of the joke of the monologue is that money changes people. Mr. Lee and his large family prove to be no exceptions to the rule. 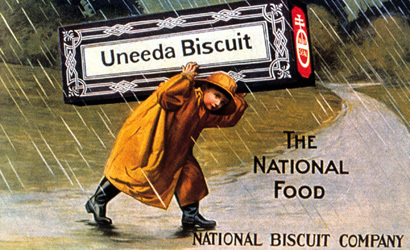 Upon moving to the city Lee decides that he, his wife, twelve children, and the rest of the extended family should all have names like those he sees around the city on streetcars, fences, and particularly on “electric signs.” A couple of the adopted names have both commercial and Scriptural origins: Hallud (as in “Hallud be thy name”) and Nero (as in “Nero, my God, to Thee”). 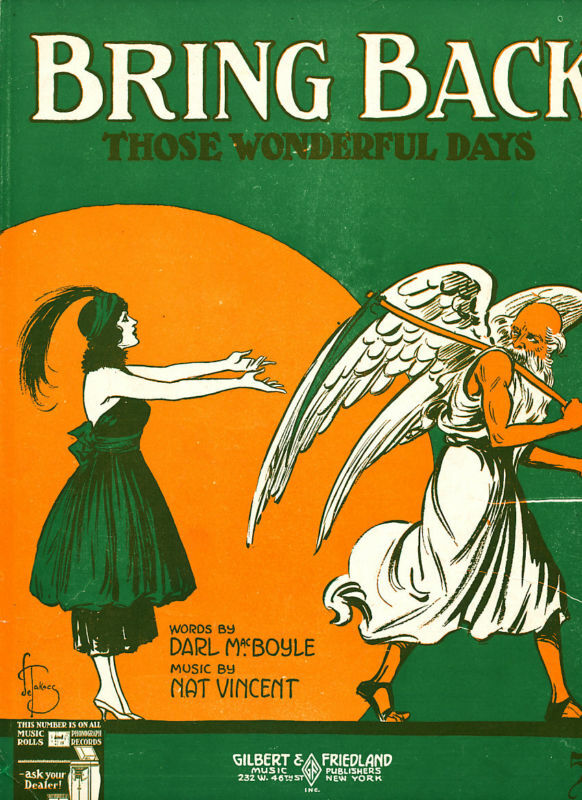 No Place Like Home (m. Ring Lardner) — The title of this talking song makes reference to the 1823 song Home! Sweet Home! A portion of the theme is stated in the conclusion. 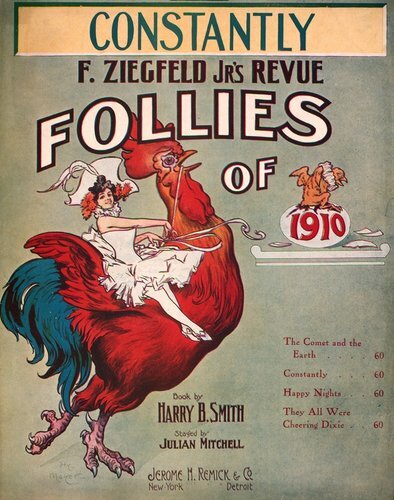 Williams did not appear in the Follies of 1918. 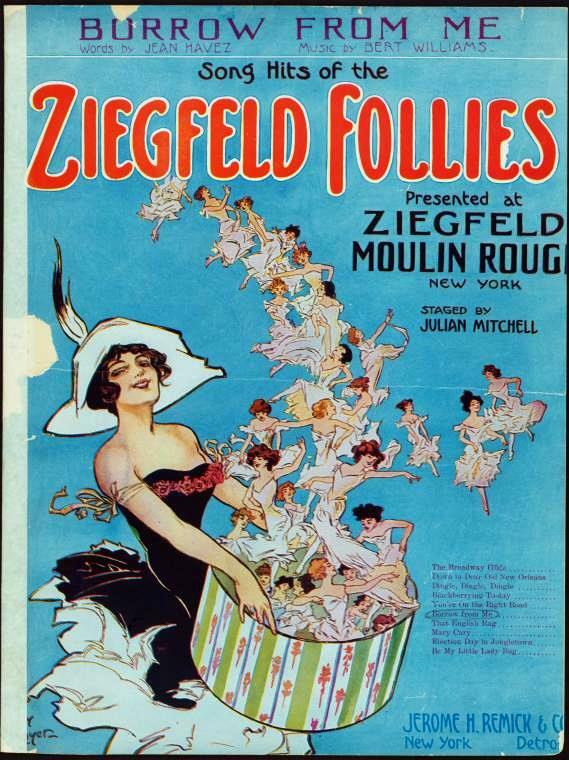 It’s Nobody’s Business But My Own (Will E. Skidmore & Marshall Walker) — As the sheet music cover indicates, this song was also performed in Ziegfeld’s Midnight Frolic of 1919 (later than the Follies). 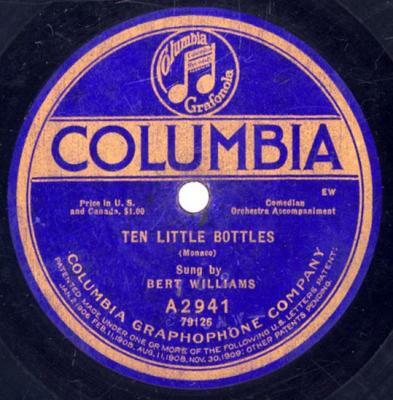 Ten Little Bottles (m. James Monaco, w. Ballard MacDonald*) — The label of the Williams issue credits only Monaco, while that of Jack Norworth’s recording credits [Ballard] MacDonald for the words. I don’t know if this indicates two distinct lyrics. 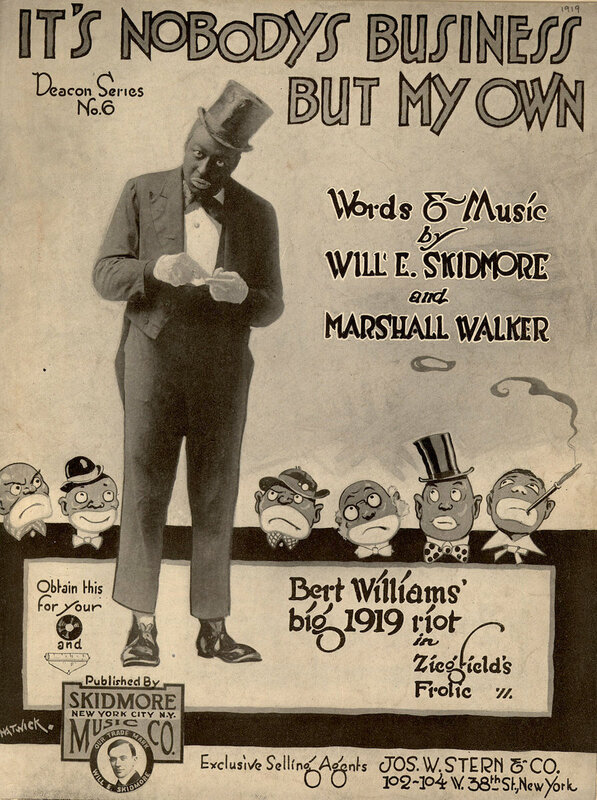 I haven’t found any evidence of Bert Williams having recorded the song. 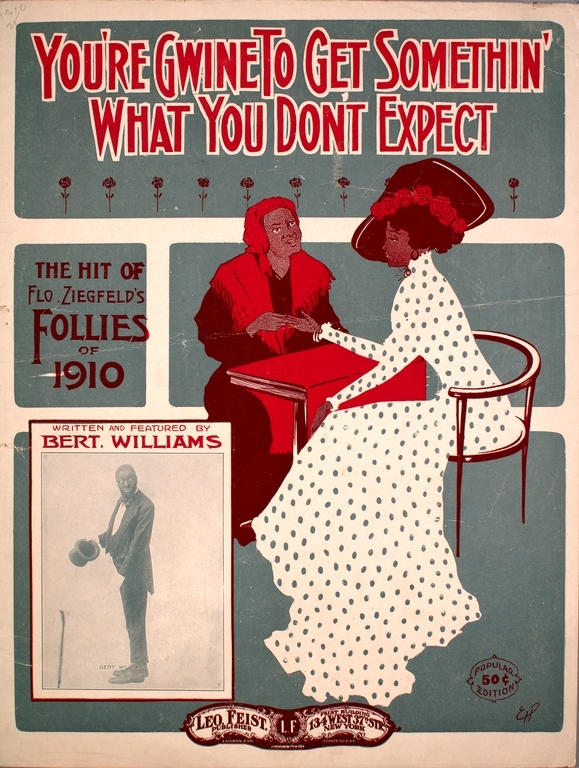 However, that it was introduced by Williams in Broadway Brevities is proudly announced on the cover of the sheet music (above). 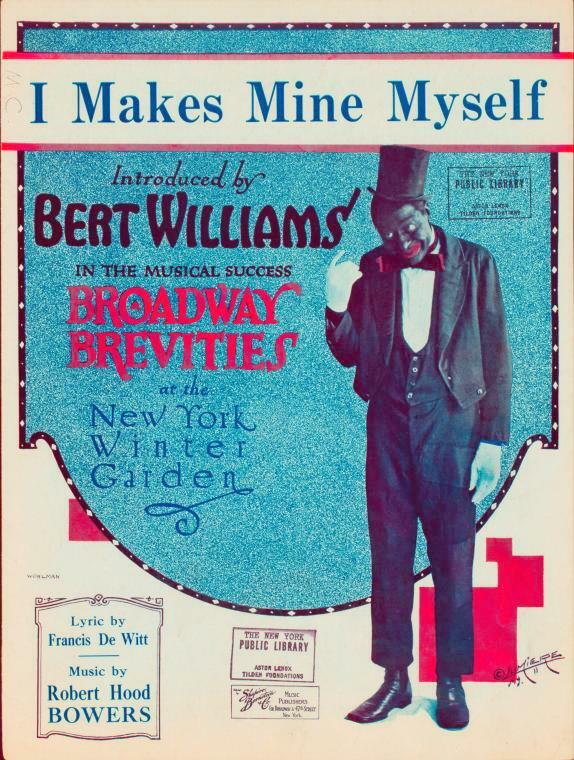 The recording below, dated 1921, features an obvious impersonation of Williams by Ernest Hare.